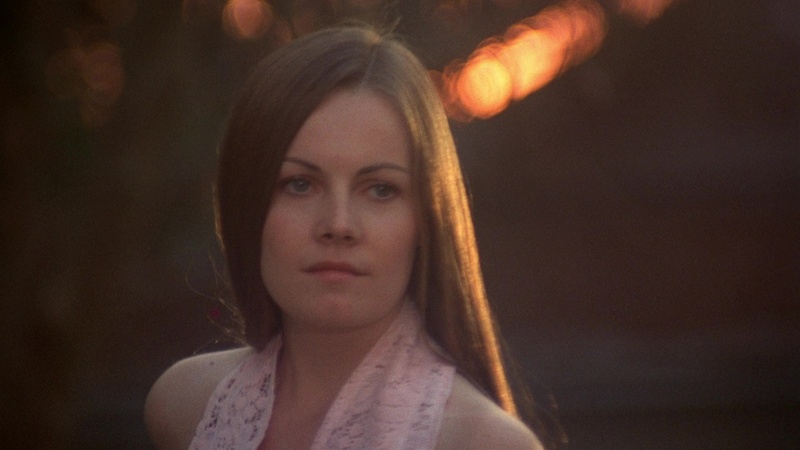 Color, 1975, 89 mins. 8 secs. The wave of movies about young people on the run and car culture intersected with surprisingly warm results in Aloha, Bobby and Rose, a drive-in staple around the middle of the decade. Packed with priceless footage of vintage Los Angeles (including an old school Jack in the Box and amazing billboards), the film plays around in the same sandbox as films like Macon County Line, Badlands, and Dirty Mary Crazy Larry but emerges as its own unique animal under the guidance of writer-director Floyd Mutrux. Three years away from his debut feature Dusty and Sweets McGee, he would only go on to direct three more films after this but proved himself as both a great chronicler of Los Angeles and an uncanny talent for picking the right songs for his dense soundtracks. Unfortunately his reliance on big songs backfired with legal issues for American Hot Wax three years later, which has been missing in action for decades. 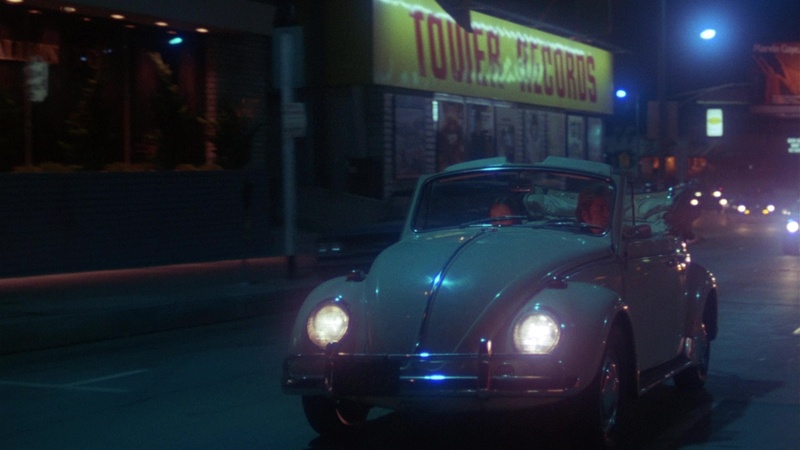 Fortunately this film has managed to survive with its soundtrack intact, including multiple songs by Elton John (they really, really got their licensing money's worth out of "Bennie and the Jets") along with hits by The Temptations, Bob Dylan, Stevie Wonder, and Emerson Lake and Palmer. One of the several ascending stars from American Graffiti, Paul Le Mat stars as Bobby, a car nut who enjoys playing pool and hanging out with best buddy Moxey (Carradine). He isn't exactly devoted to his job as a car mechanic at a local gas station, but when he returns a car to young single mom Rose (Hull), they hit it off right away and spend some quality time chatting about their hopes and dreams. They decide it would be great to go off to Hawaii if they could ever afford it, but a stop at a convenience store sends their dreams haywire when a hold-up prank leads to an accidental gunshot death. 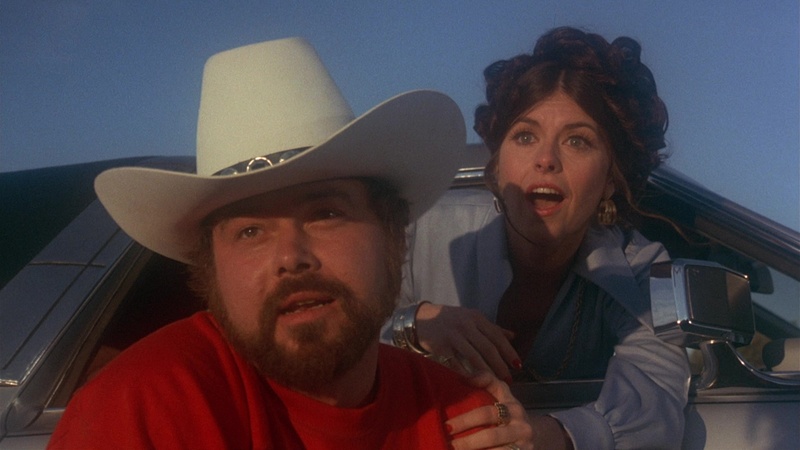 Not really thinking things through at all, Bobby ignores Rose's pleas to go to the police and takes her off in a handy abandoned Camaro for a trip south the bring them into contact with some colorful characters including a scene-stealing, boisterous Texan named Buford (McIntire). However, their time together is destined to take a few unavoidable sharp turns. 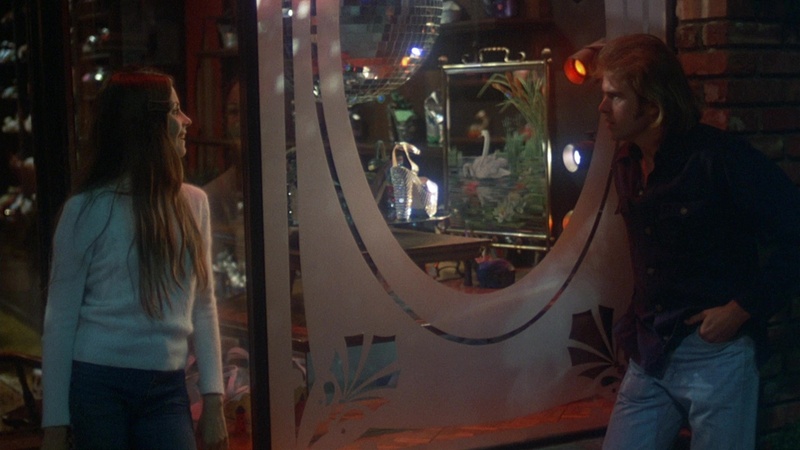 A better time capsule of mid-'70s California would be harder to imagine than this film with its dreamy night scenes soaked with neon and dusty daylight scenes that seems to be unfolding in a kind of dream logic. Le Mat and Hull (who went on to do Christmas Evil!) have nice chemistry together even if the characters as written don't have any particularly distinguishing characteristics. It's also fun to spot some familiar faces in the supporting cast, particularly an imposing Edward James Olmos at the beginning and, if you look closely, a pre-The Hills Have Eyes Janus Blythe. As a drama or character study it's pretty loose and shaggy, but the atmosphere and sincerity goes a long way to making this a poignant and strangely resonant film that's managed to amass an understandable fan following over the years. Though it was released in theaters by Columbia Pictures, Aloha, Bobby and Rose has drifted around ever since including a VHS edition from the much-loved Media Home Entertainment and a very early DVD from Anchor Bay. Shout! Factory issued it again on DVD in 2014 via its distribution deal with Timeless, and while all of these editions look okay, it was clear standard def was always going to fight a losing battle against the tricky, diffusion-heavy cinematography by the great William A. Fraker (Bullitt, Rosemary's Baby). The 2018 Blu-ray from Scorpion Releasing does a significantly stronger job of handling the film grain and the numerous dark scenes that tended to turn to mud in early presentations. No attempt has been made to make the film look more slick, current, or smoothed over; it's an organic presentation all the way and all the better for it. The DTS-HD MA English mono track (featuring optional English SDH subtitles) sounds good bearing in mind it's also a typical mix for the period, with the music faring best when it suddenly bursts to life every couple of minutes. A new interview with Le Mat (23m11s) reflects on his fondness for the film, the car antics and mishaps during production, his fondness for Mutrux (who only reprimanded him once on the set but with a twist), his incapacitation while filming Death Valley, and his thoughts on the two American Graffiti films. 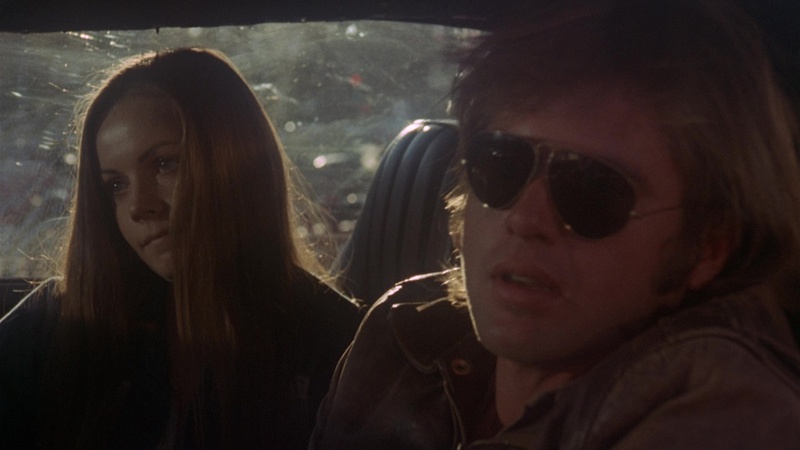 Next up is Robert Carradine (8m53s) noting how he was cast on the basis of The Cowboys and had his favorite scene dropped from the final cut of the film, with time spent on some of his other early films as well including The Pom Pom Girls and Joyride. Last up is Mutrux (13ms33s) explaining how he was inspired by Jean-Luc Godard's Breathless and liked his friend Tim McIntire (including a surprising little Orson Welles anecdote) so much he brought him back again for American Hot Wax. There's also a bizarre editing glitch around the 4-minute mark that will make you do a double take. The theatrical trailer is included along with bonus ones for Conduct Unbecoming and Nashville Girl. Reviewed on April 23, 2018.